Show off your colors like never before! An archival, acid-free textured clay surface that absorbs watercolors like a fine paper, Aquabord allows colors to retain their purity and vibrancy in a way that even the finest watercolor papers can't match. 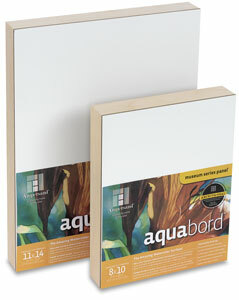 ™ Ampersand is a trademark.™ Aquabord a trademark.